Click on map to expand to full network! 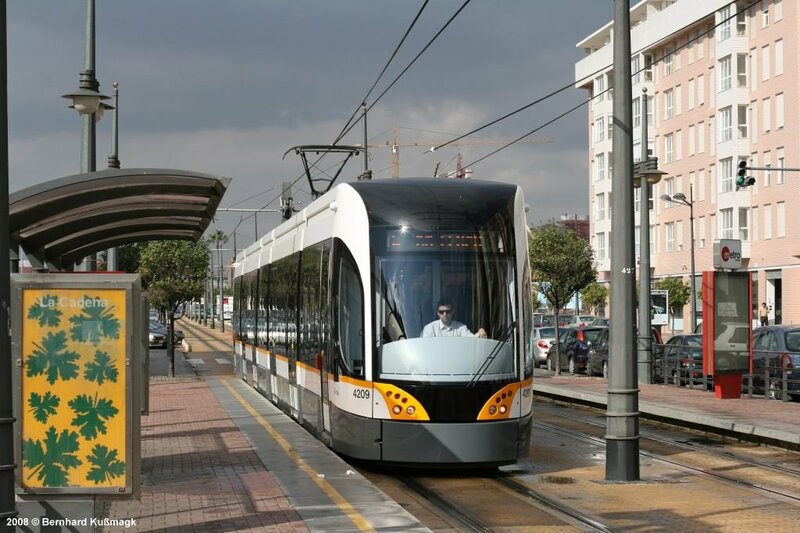 Valencia is the capital city of the autonomous region called Comunitat Valenciana, and with more than a million inhabitants in the metropolitan area, it is Spain's third largest city. Situated by the Mediterranean Sea it's an important harbour and industrial centre on the east coast of Spain. 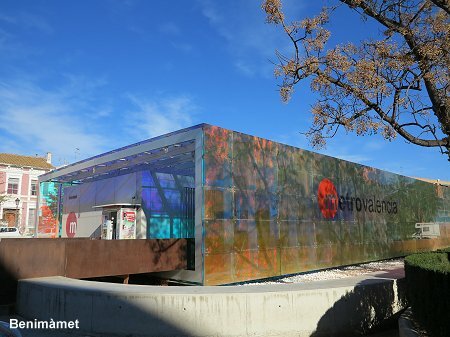 The city has a unique park in the former river bed of the Turia river under which two stations, Túria and Alameda, are situated. 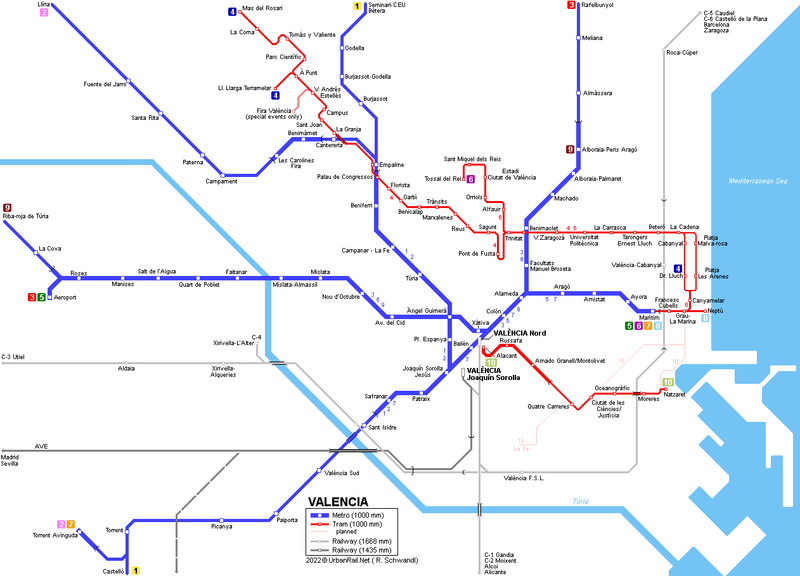 The Comunitat Valenciana is a bilingual region, with most station names now using the local Valencian (Catalan) variant, although some are called by their Spanish name. 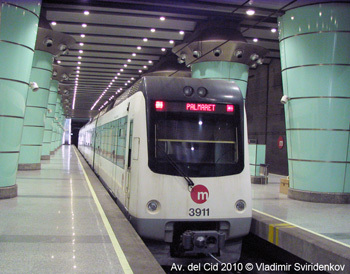 The Valencia Metro has been developed out of a former regional narrow-gauge network opened as soon as 1888 and called El Trenet de València. 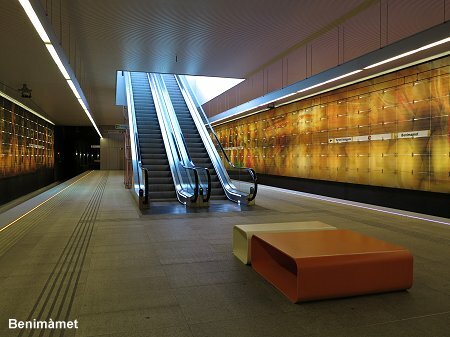 Still under FEVE's administration in the early 1980's, it was decided to build a tunnel through the city centre in order to connect two of the northern lines with the one in the south. 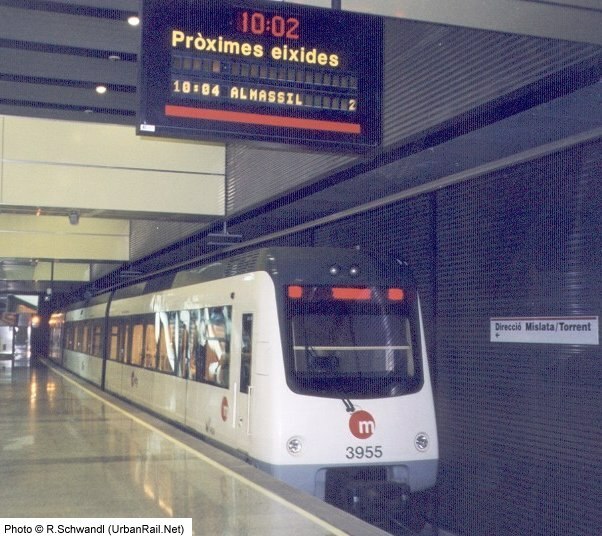 After all narrow-gauge lines were taken over by the Valencian Government in 1987, Ferrocarrils de la Generalitat Valenciana (FGV) opened the cross-city tunnel on 8 Oct 1988, 100 years after the inauguration of the first narrow-gauge line in Valencia, and began to call the new service Metro de Valencia. 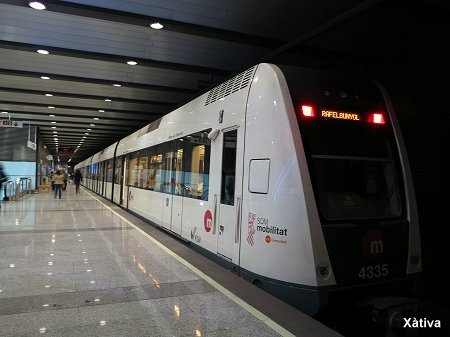 Apart from the FGV metro system, RENFE (Spanish National Railways) runs a regional service (Cercanías) which is especially busy on the southern lines C1 and C2. 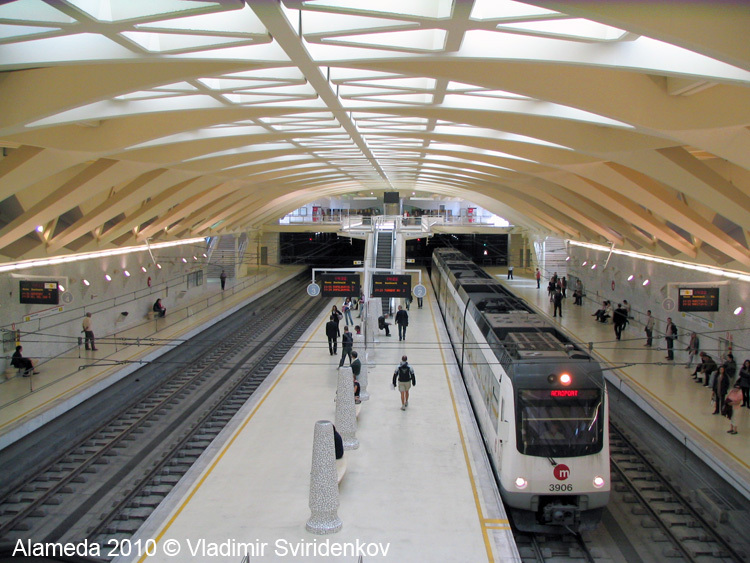 Xàtiva on Lines 3/5/9 provides a direct interchange in the city centre between RENFE trains and FGV metro. Although this north-south line has a very regional character outside the city, it can be considered a metro line within the city, i.e. 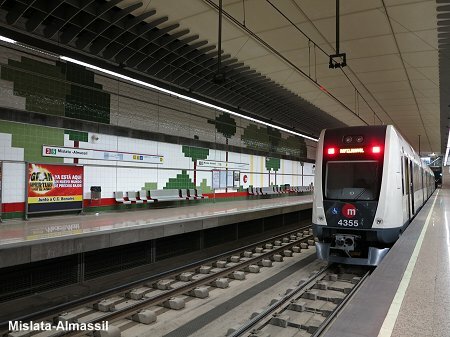 between Empalme (formerly Ademuz) in the north and Torrent in the south with trains every 7.5 minutes (Beniferri - Safranar underground 6.7 km). 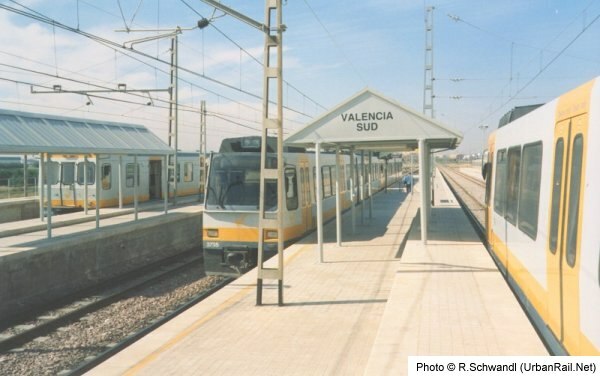 Before 8 Oct 1988, the three northern lines to Llíria, Bétera and Rafelbunyol left Valencia from Pont de Fusta (now on tram line 4). 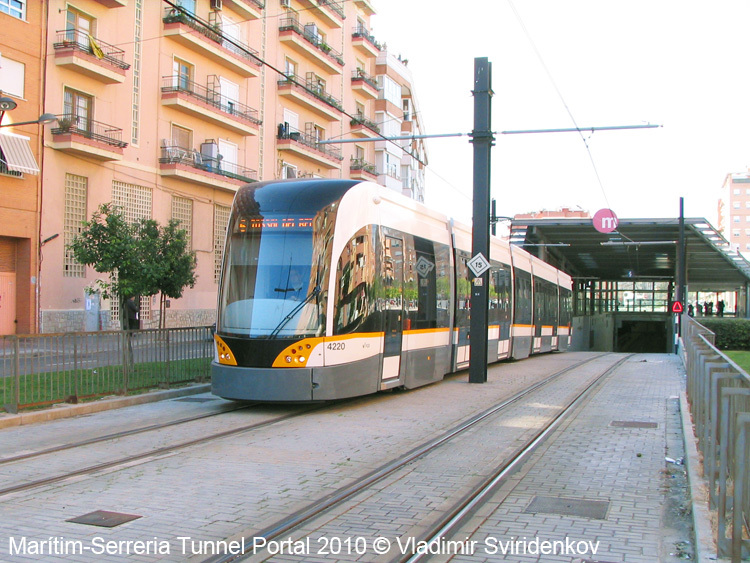 On that day the city tunnel was taken into service between Empalme and Safranar (formerly Hospital). 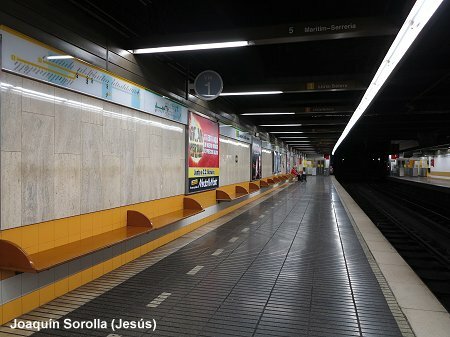 Previously, the southern line had its city terminus at Jesús (now Joaquín Sorolla). 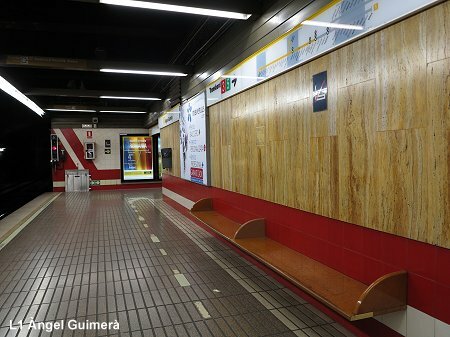 Between 1998 and 2015, both northern branches were labelled "Line 1", but eventually the Llíria branch recuperated its "Line 2" tag. 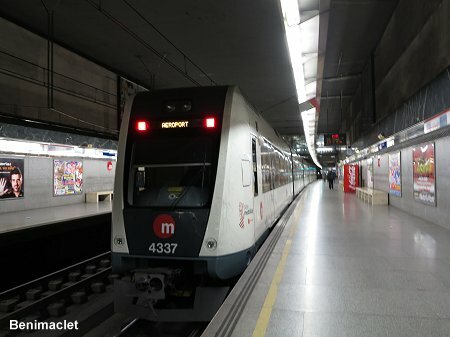 At the same time, the Torrent Avinguda - Marítim-Serrería service was rebranded Line 7. _ Empalme - Bétera 14 km, 11 stations, 5.8 km double-track (Empalme - Seminari), 8.2 km single-track (Seminari - Bétera), regional service. _ Empalme - Torrent Avinguda 15.8 km (6.7 km underground through Valencia + 2.3 km in Torrent), 15 stations, metro service. _ Torrent - Villanueva de Castellón 43.8 km, single-track, regional service. 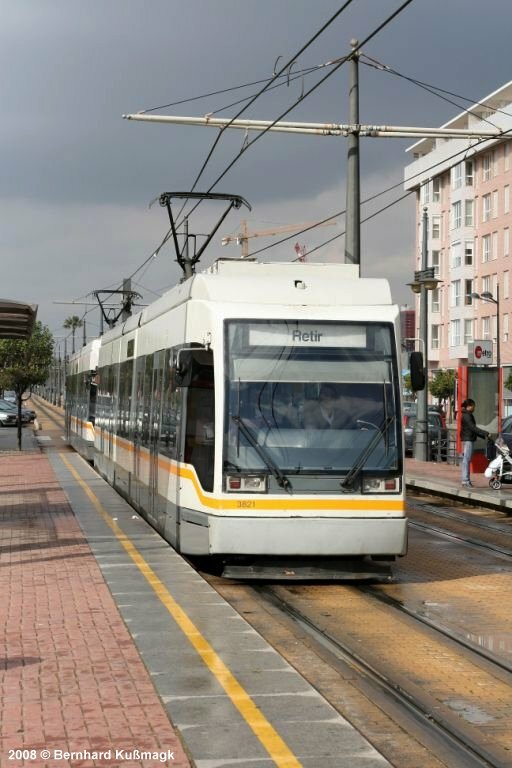 Line 3 follows an older regional line to Rafelbunyol, which also used to have its city terminus at Pont de Fusta (now on tram line T4). 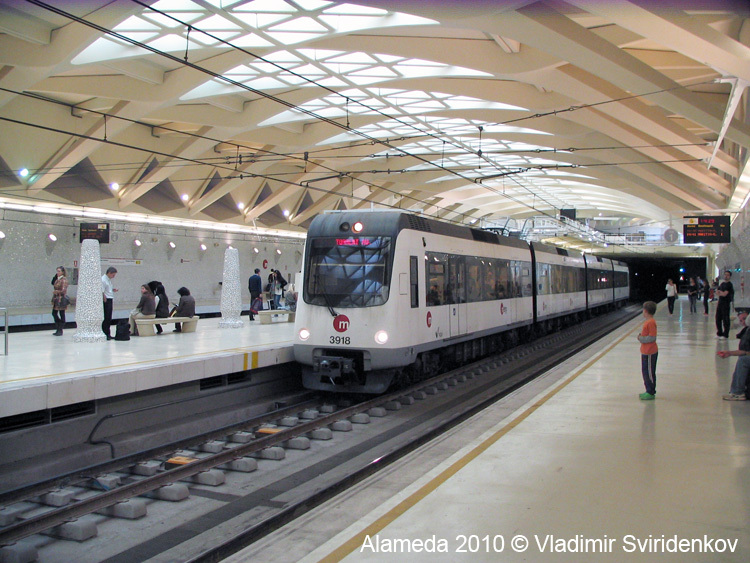 The city section was built as a modern metro line initially running underground from Alboraya-Palmaret into the city to Alameda (1995, 3 km). In 1998, the first stretch of what was originally planned as line 5, opened between Alameda and Av. del Cid (3.2 km) with a branch from Colón to Jesús (now Joaquín Sorolla; 2.4 km) to allow through trains between Torrent in the south and Palmaret in the north. 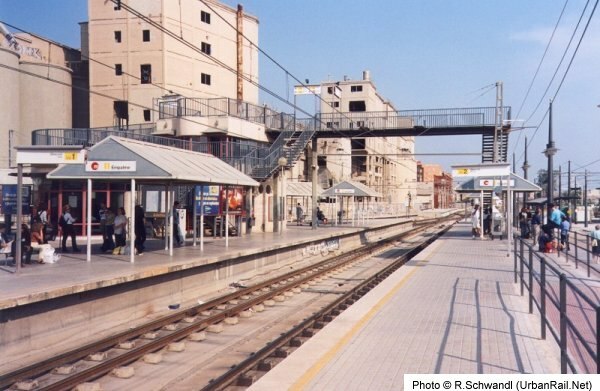 Another section towards the west (to Mislata-Almassil, 3 stations, 2.4 km) opened in 1999. Line 5 was originally designed to run from Mislata to Cabanyal Railway Station in the east. 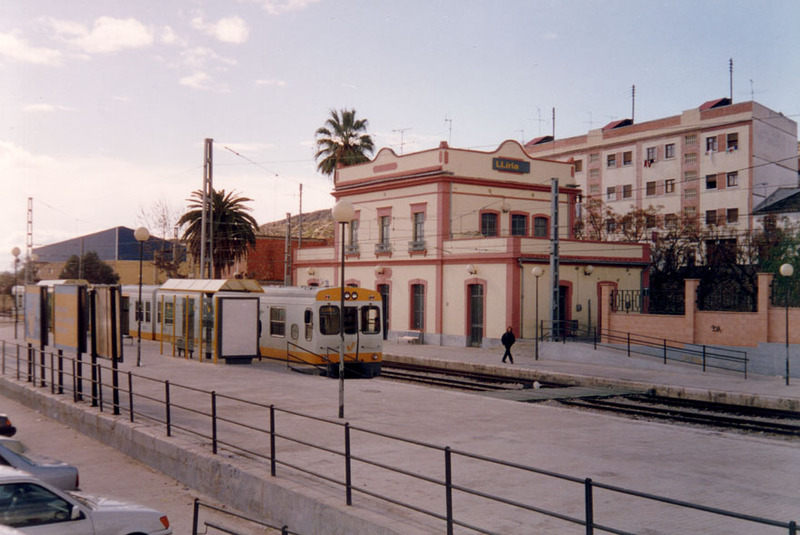 This line serves the central shopping district around Colón station and the main railway station at Xàtiva. Plans for the eastern section between Alameda and Cabanyal were changed in the late 1990s. 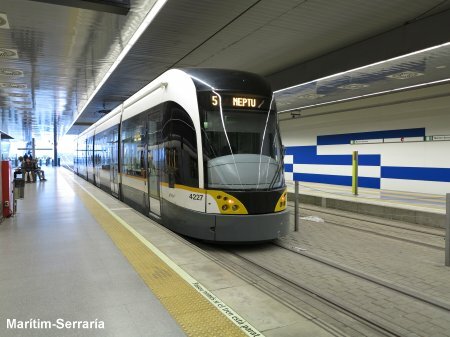 Instead of going to Cabanyal Railway Station (ADIF is planning a cross-city tunnel which would not serve that station), the new Line 5 was to become similar to a German Stadtbahn running under Santos Justos y Pastor Streets with light rail vehicles using high platforms in tunnel stations but lower platforms at the three eastern stops planned on street level. 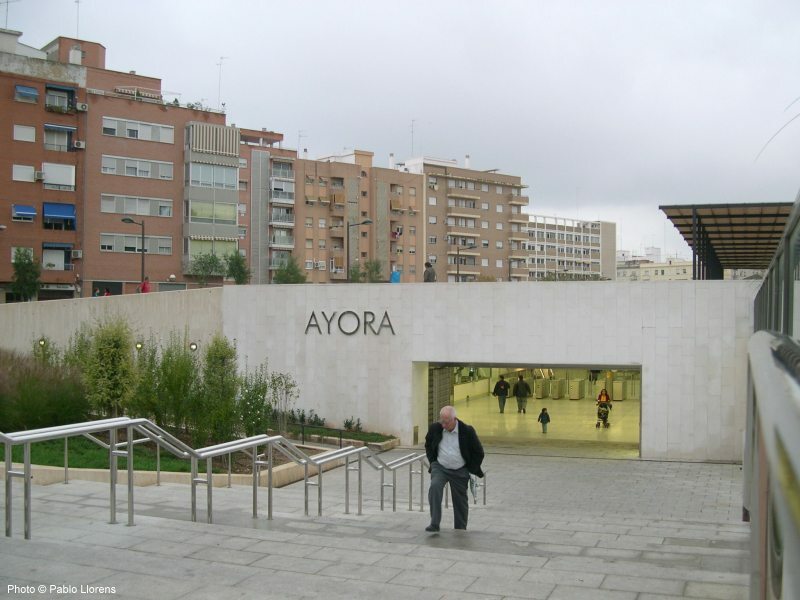 Eventually the line was built underground as far as Ayora and opened in April 2003. 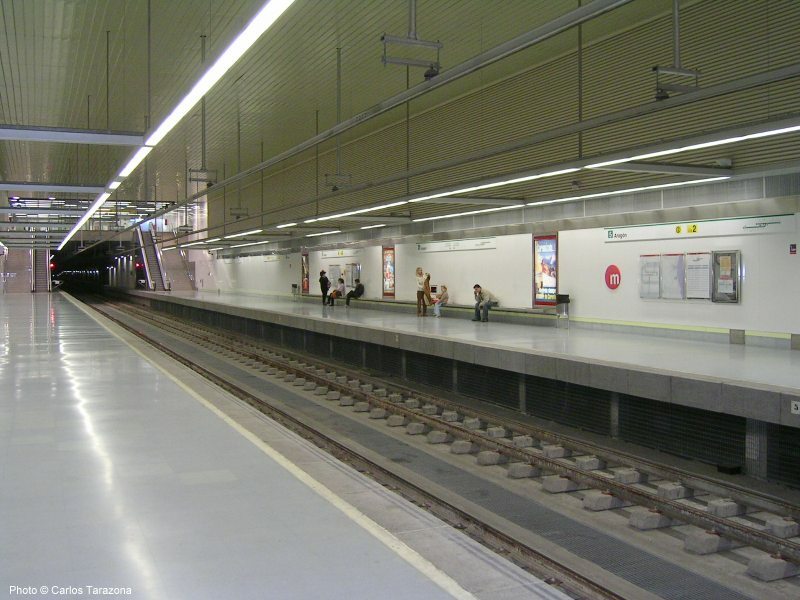 In April 2007, it was extended by one underground station to Marítim-Serrería, where transfer is provided across the platform to tram lines 6 and 8. 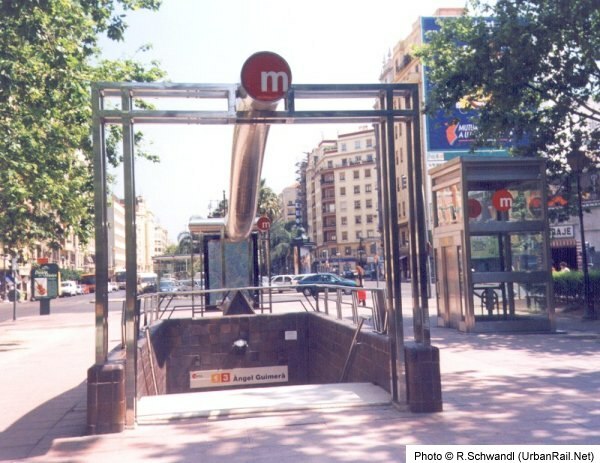 The tram line from Marítim Serrería to Neptú (now Marina Reial Joan Carles I) opened on 17 April 2007. 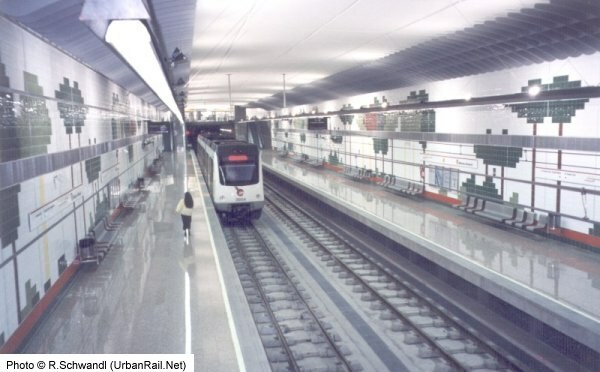 In late 2002, a western extension of Line 5 under the Turia river towards Manises Airport was approved. 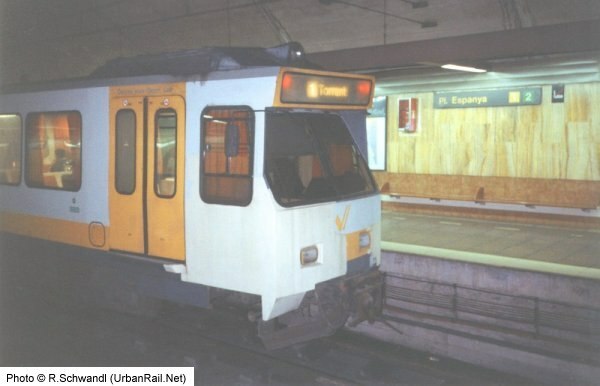 This extension, which is totally underground, replaced the former Renfe line, which was handed over to FGV in early 2005 (service was suspended on 1 April 2005). 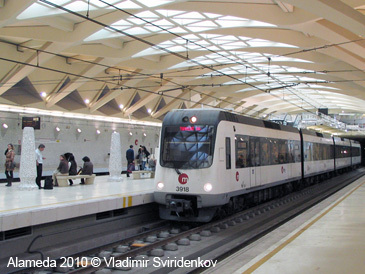 The Airport line was brought into service in April 2007. 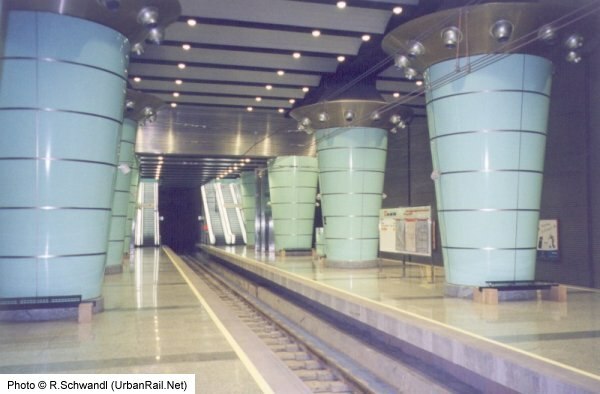 The northern line 3 tunnel was extended in Dec. 2010 by 1.6 km, with two new underground stations in Alboraya. 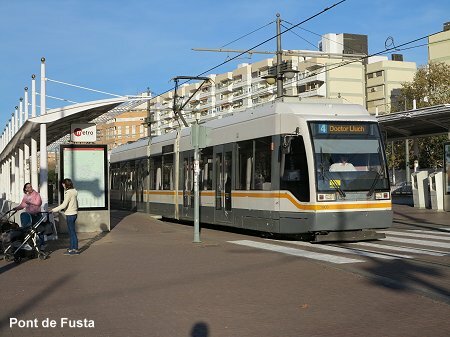 Finally, in early 2015, another western extension was added between Manises and Riba-roja de Túria. 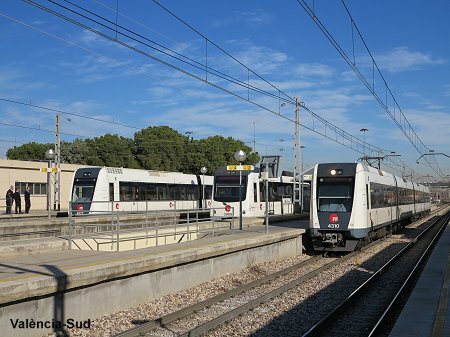 The 9.5 km single-track surface section connects to the existing line near the airport and follows the former Renfe line. 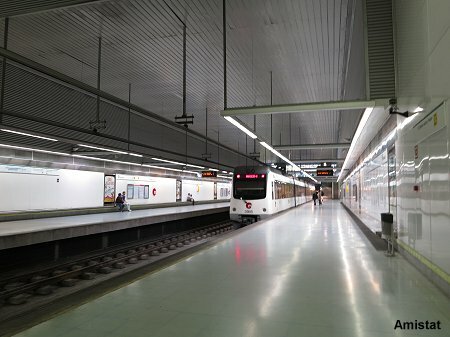 This extension introduced Line 9, running half-hourly between Riba-roja de Túria and Alboraya-Peris Aragó. 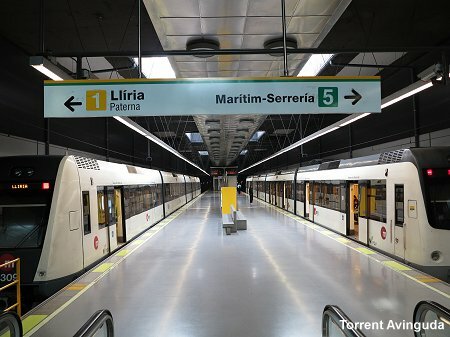 At the same time, the Torrent Avinguda - Marítim-Serrería service was rebranded Line 7. 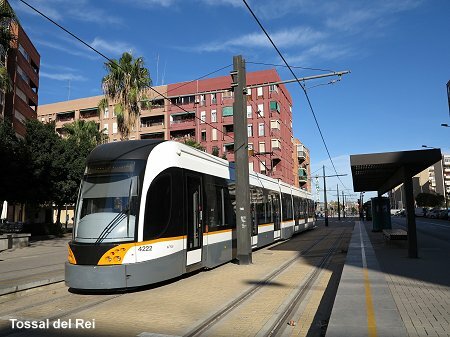 Line 4 is a standard tram line that runs east-west through the northern part of the city connecting Line 1 at Empalme with Pont de Fusta in central Valencia (at the other side of the river bed park), the new University campus developments and the beaches. An extension from Empalme to TVV (Valencia TV) opened in March 1999. 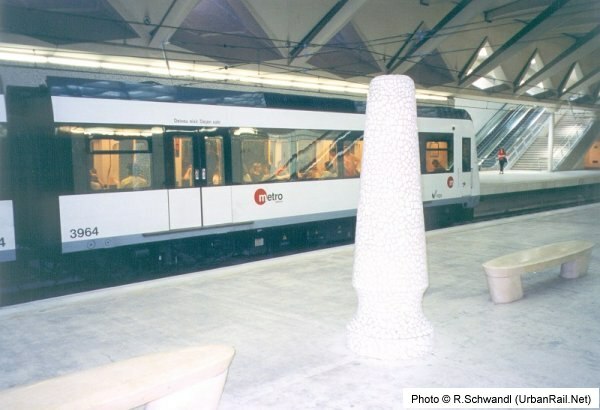 A further extension to Fira de Mostres (Trade Fair) was taken into service in 2000 (only served during trade fair periods), and to Mas del Rosari and to Lloma Llarga Terramelar in 2005. 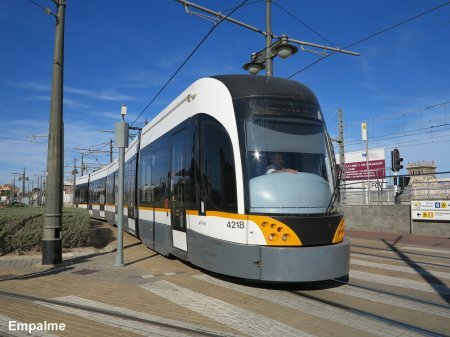 Line 6 was brought into service on 28 Sept 2007, running on a new 2.4 km section to Orriols and Torrefiel, with most of the rest being shared with line T4. 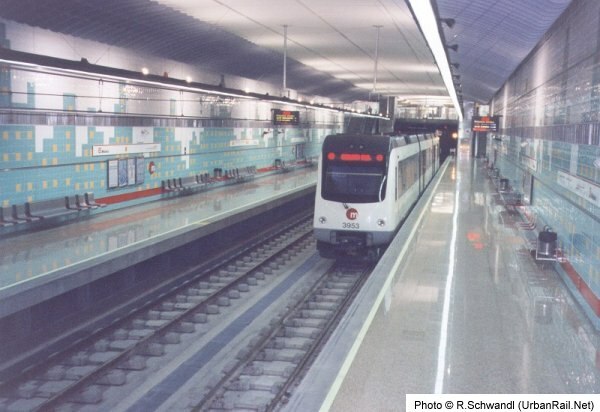 In the port area it links with line 8, both terminating underground at Marítim-Serrería. 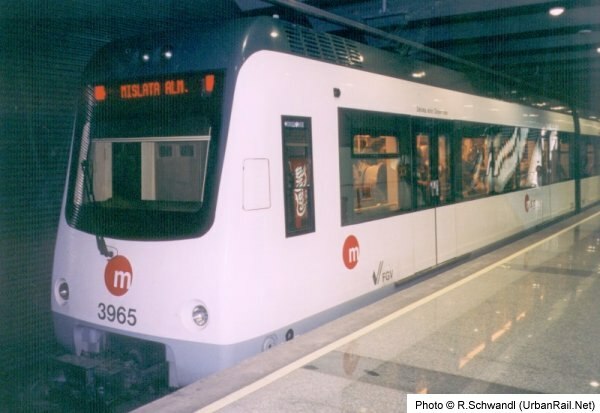 - A partly underground north-south route (previously referred to as Line 2) has been planned and construction was launched along the southern section, but were later suspended due to financial problems. The line will run from Orriols in the north to the Science City and Natzaret in the south. Coming from Orriols in the north (Ciutat de Valencia stadium, L6) it will enter the future north-south tunnel at Pont de Fusta. There will be underground stops in the old city centre at Museus (under the old riverbed), Carme and Mercat before reaching Xàtiva. 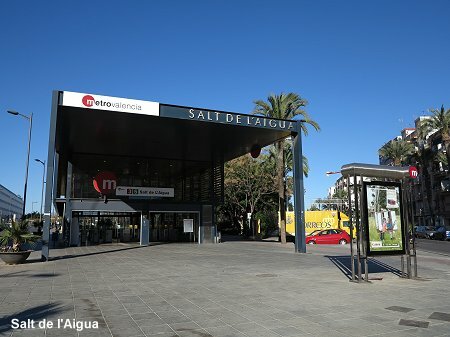 A new central railway station is to be built a bit further south from its current location with an underground station called Alacant on its eastern side (providing transfer to the added Bailèn station on line 7, located on the western side). 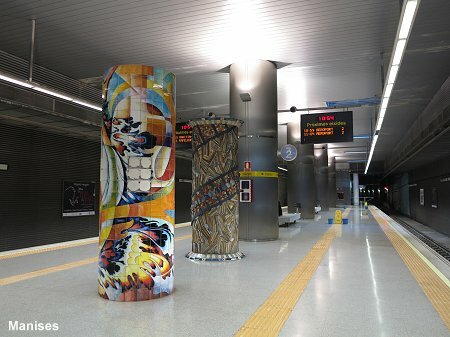 The new line will continue underground along Av. del Regne de Valènica, turning right into Luís de Santángel and General Urrutia with 3 underground stations in the Russafa disrict before coming to the surface near the crossroads Gral. Urrutia/Av. de la Plata. 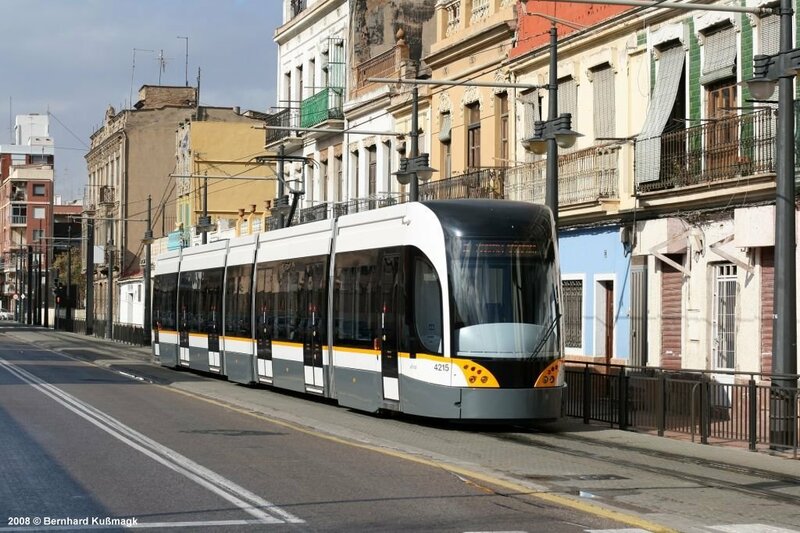 From there it will run on the surface to the Museu de les Ciències, now a major tourist attraction, and the Natzaret neighbourhood. 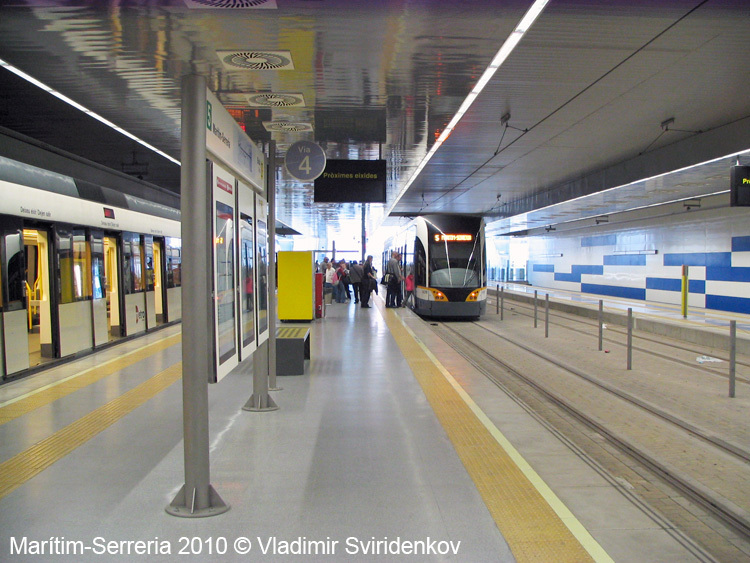 This line is planned to use low-floor trams. The northern surface section was completed in 2007 (to be initially operated as T6), but the completion of the rest is uncertain. - In the south, a new branch has been proposed from Pl. Espanya towards La Nova Fe Hospital, located near València F.S.L. railway station. "El trenet de Valencia (1888-2000) la dimensión histórica y tecnológica de un transporte público"
"El ferrocarril en España (1829-1844). 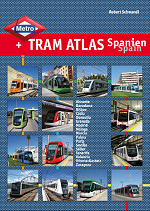 Las primeras concesiones..."
This book narrates the full history of Valencia's metro (in Spanish) with lots of old and new pictures.